This Saturday, August 9th, Platanitos will join Punta de de Mita, La Peñita de Jaltemba and Bucerías; there has already been contact with San Blas and Guayabitos, both of which will eventually join in the cleanup effort. The monthly beach cleanup of the destination’s beach communities will take place this Saturday, August 9th, with the full support of the Riviera Nayarit Convention and Visitors Bureau (CVB). Platanitos and the Playa Platanitos Ecológico association will join Punta de Mita, Bucerías and La Peñita de Jaltemba in maintaining the beaches to benefit all of the people of Nayarit. 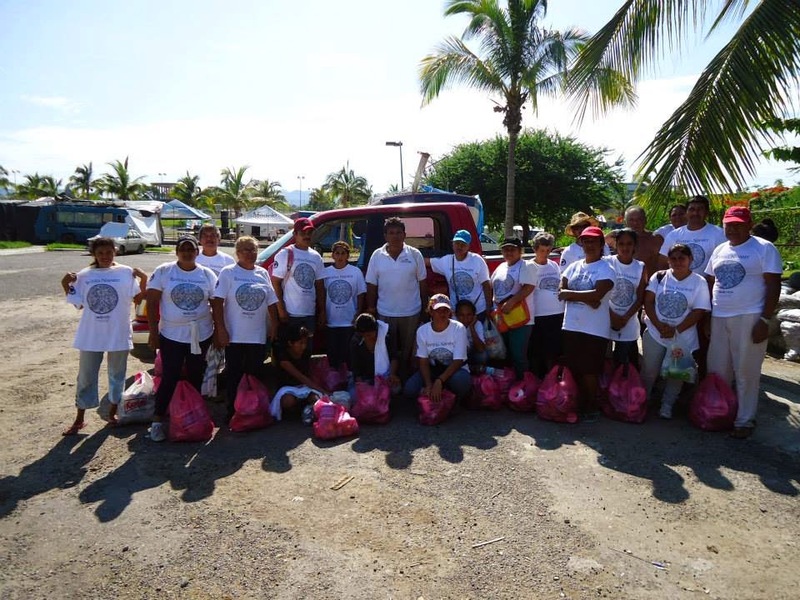 The Riviera Nayarit CVB provides the groups integrated by this civil society with the necessary cleaning materials like gloves, bags, t-shirts and water. First contact has also been made with the San Pancho and Sayulita communities, and collaboration has begun with Guayabitos and San Blas; all have responded positively to the invitation to become part of the group. The objective is for all the picturesque towns of the Riviera Nayarit to be a part of this movement. If you are with of a group that wishes to join in our community cleanups or are interested in putting together a group of volunteers in your community, please don’t hesitate to contact us at 2 97 25 16 ext. 108. In Punta de Mita the crews will gather at the Punta de Mita Sports Center at 7 a.m. The contact is the Punta de Mita Foundation at (329) 291 50 53 or (322) 779 29 06. In Bucerías there are two meeting points with 8 a.m. schedules, as the Volunteer and Friends of Bucerías Group has joined in as well. The first group will meet on Allende street in front of Decameron and the second will be on Benito Juarez street in front of Karen’s place. The contact number is (322) 140 68 81. The crew at Platanitos will meet at 9 a.m. at the Fiesta del Mar restaurant right at the entrance to the beach. The contact is Lulú Santana from the Playa Platanitos Ecológico association at (327) 105 69 47. Finally, at La Peñita de Jaltemba the meeting is at 6 p.m. at the boardwalk with the Asociación Grano de Arena, contact number (322) 116 94 40.